mixedbag October 23, 2015 June 26, 2016 6 Comments on Hello Muggles! Happy Friday, folks! 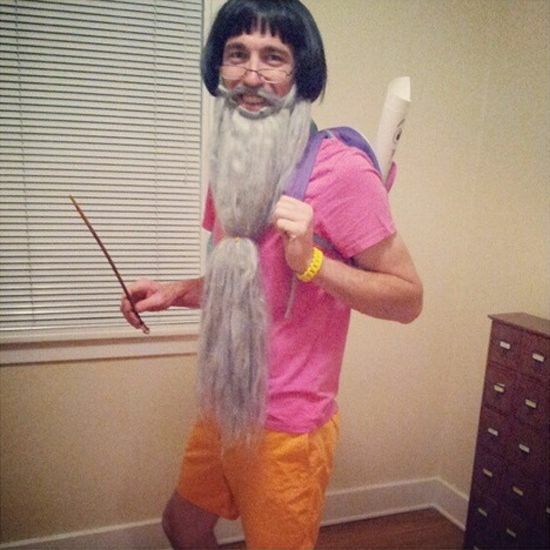 So, Halloween is fast approaching and the Internet is abuzz with costume ideas. M wants to be a ‘book reading fairy princess’ but someday I’m sure I can dress her as Hermione. A girl can hope, right? My love for the HP series is no secret. I a sirius fan (wink wink). But no seriousness in this post. 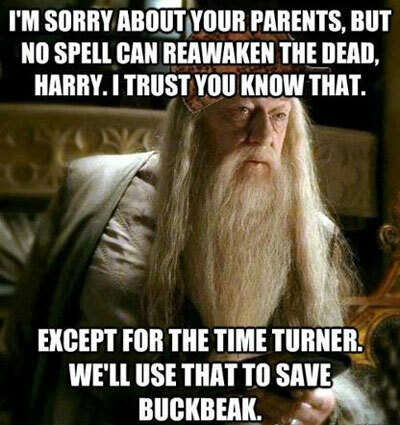 Get ready for some Potter humor. 1. Have you ever wondered why Lord Voldemort always waits till the end of the school year to attack Hogwarts? It’s as if You-know-who is really concerned about Harry’s education! 3. 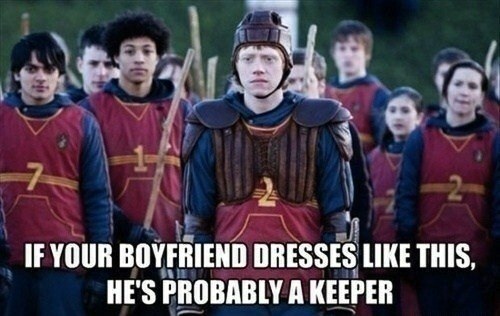 Quidditch puns? Yes, Please! And I hope you’re boyfriend’s not a Snitch! Bwahaha! You’re the best, Grumpy! 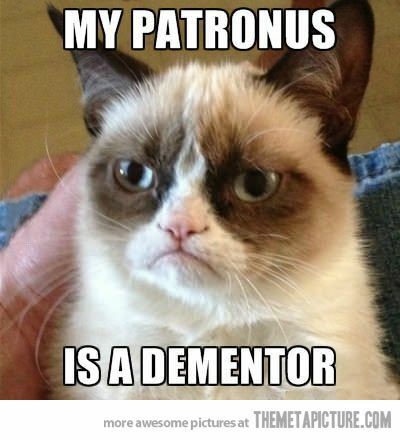 But, Expecto Patronum! 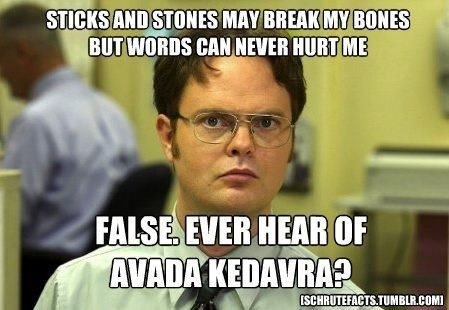 Dwight Schrute has it all figured out. Hope you had some laughs with this post. I’ll get going now, Dobby has lots of work to do. Have a great weekend! » Happy Birthday to the Boy who Lived! Absolutely hilarious esp "Thou Shalt not Pass ". Lol. Love this post…and am sure my son would like it , too….both of us are Potter fans !